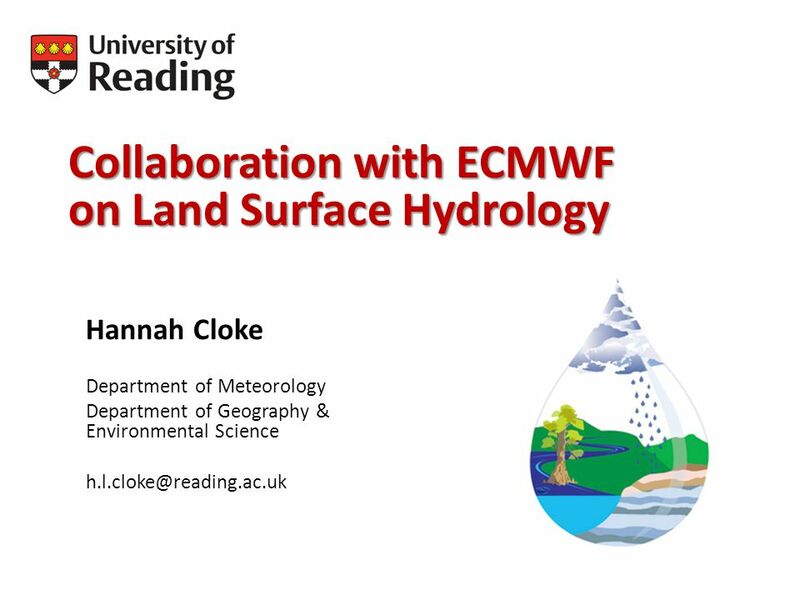 Download ppt "Collaboration with ECMWF on Land Surface Hydrology Hannah Cloke Department of Meteorology Department of Geography & Environmental Science"
Evaluating the impacts of climate change on hydrology and water resources Phil Graham Fredrik Wetterhall Swedish Meteorological and Hydrological Institute. Improved CanSIPS Initialization from Offline CLASS Simulation and Data Assimilation Aaron Berg CanSISE Workshop. 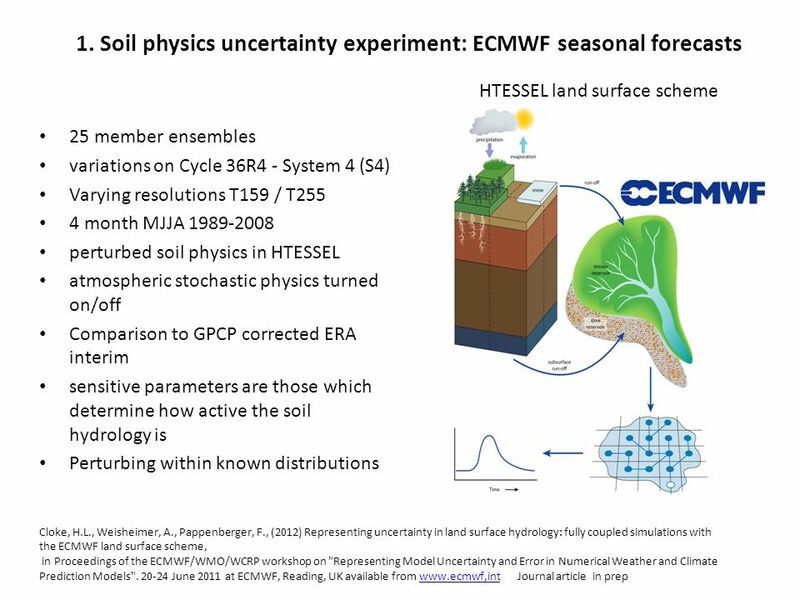 Observed temperature dependence of precipitation extremes: comparison to results of climate models and reanalyses of NCEP and ECMWF Shaw Chen Liu Research. Introduction to parametrization Introduction to Parametrization of Sub-grid Processes Anton Beljaars room 114) What is parametrization? DOE BER Climate Modeling PI Meeting, Potomac, Maryland, May 12-14, 2014 Funding for this study was provided by the US Department of Energy, BER Program. 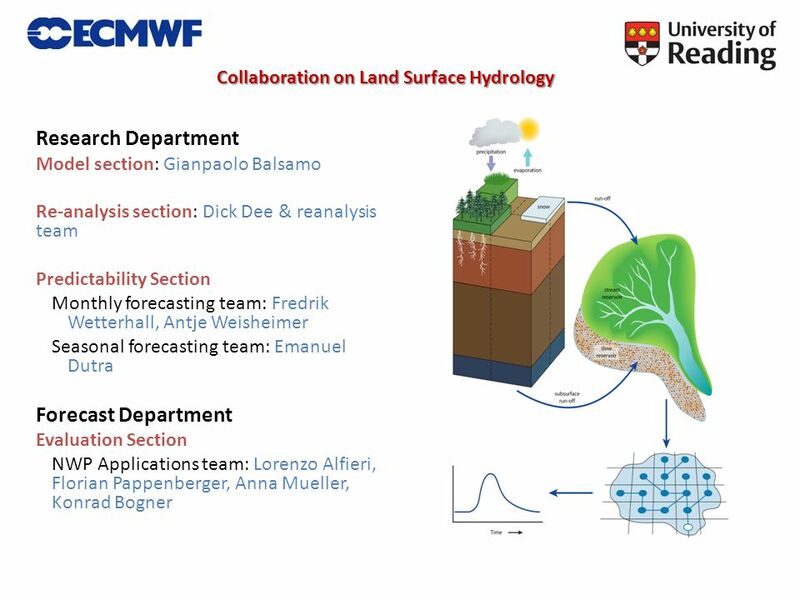 Vienna 15 th April 2015 Luca Brocca(1), Clement Albergel(2), Christian Massari(1), Luca Ciabatta(1), Tommaso Moramarco (1), Patricia de Rosnay(2) (1) Research. 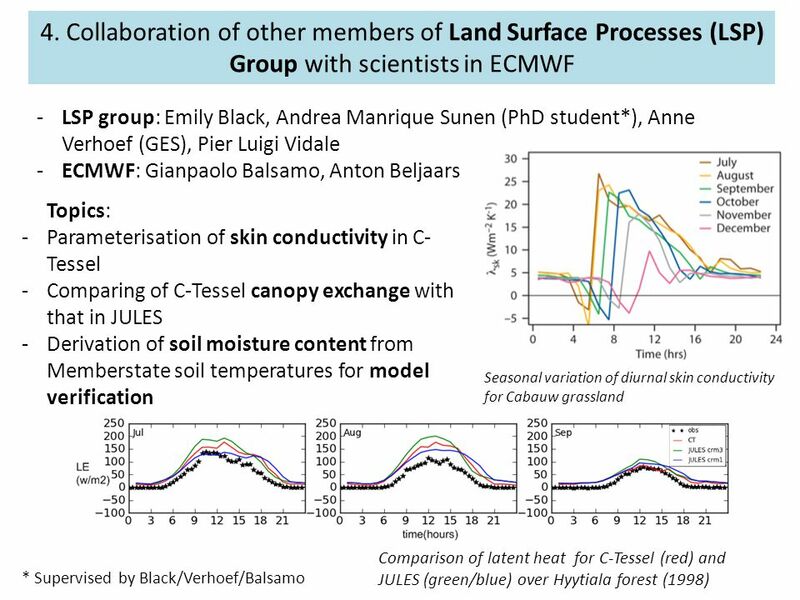 Slide 1 Assimilation of near real time GEOV Albedo and Leaf Area Index within the ECMWF modelling system Souhail Boussetta, Gianpaolo Balsamo, Emanuel. SMOS – The Science Perspective Matthias Drusch Hamburg, Germany 30/10/2009. 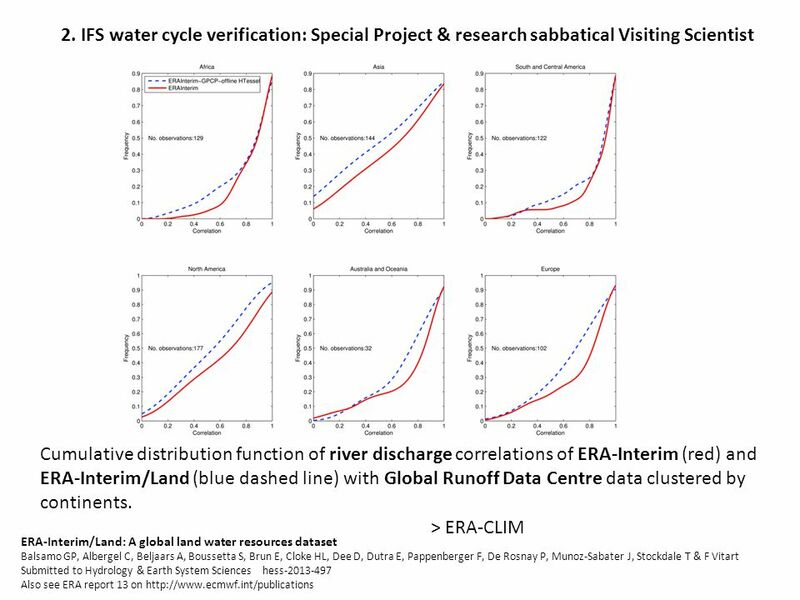 The role of spatial and temporal variability of Pan-arctic river discharge and surface hydrologic processes on climate Dennis P. Lettenmaier Department. 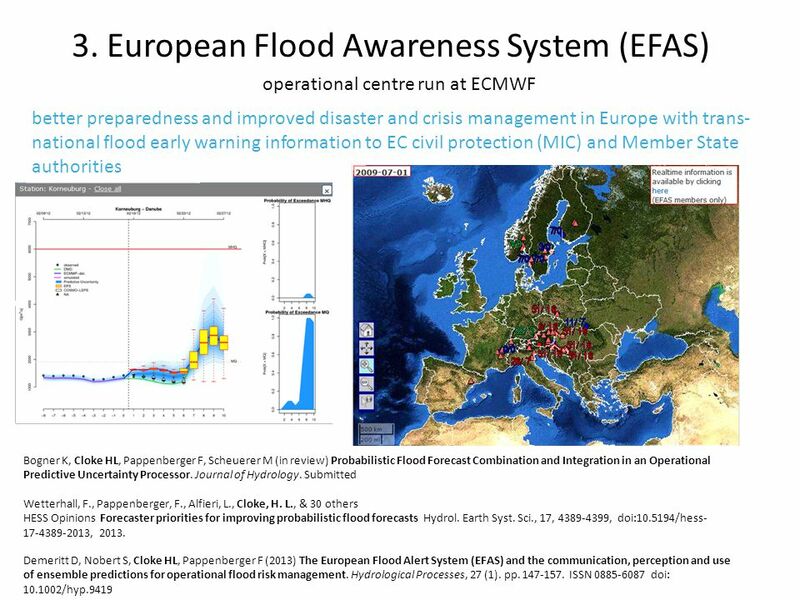 Flood monitoring for ungauged rivers - Across the globe Beatriz Revilla Romero 1, Jutta Thielen 1, Peter Salamon 1 and Tom de Groeve 1, Damien Raynaud. GEO Work Plan Symposium 2014 WE-01 Jim Caughey THORPEX IPO. Grid for Coupled Ensemble Prediction (GCEP) Keith Haines, William Connolley, Rowan Sutton, Alan Iwi University of Reading, British Antarctic Survey, CCLRC. ©NERC Confidential What’s the data? Keynote speech by Dr Simon Jackman Head of Knowledge Exchange Natural Environment Research Council Whose Brains? ESG. 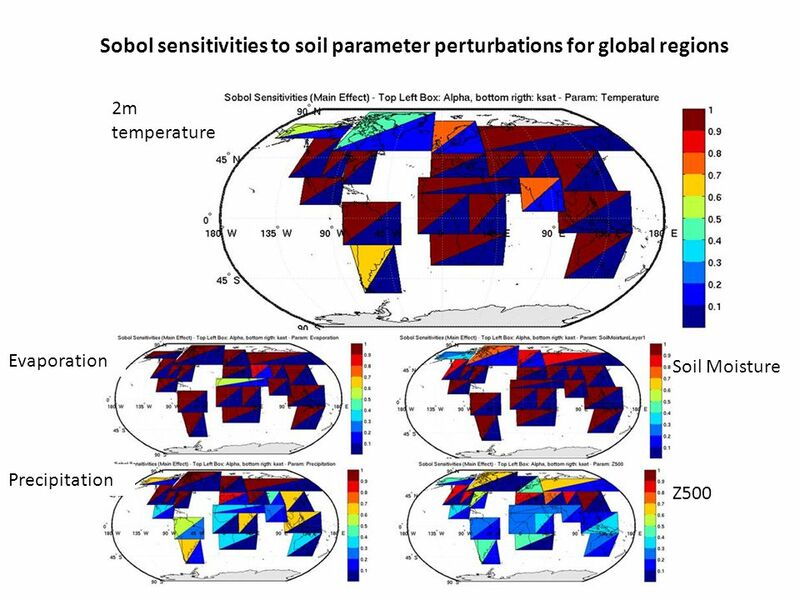 THEME[ENV ]: Inter-operable integration of shared Earth Observation in the Global Context Duration: Sept. 1, 2011 – Aug. 31, 2014 Total EC. National Weather Service Hydrologic Forecasting Course Agenda 14 October – 7 November 2003.